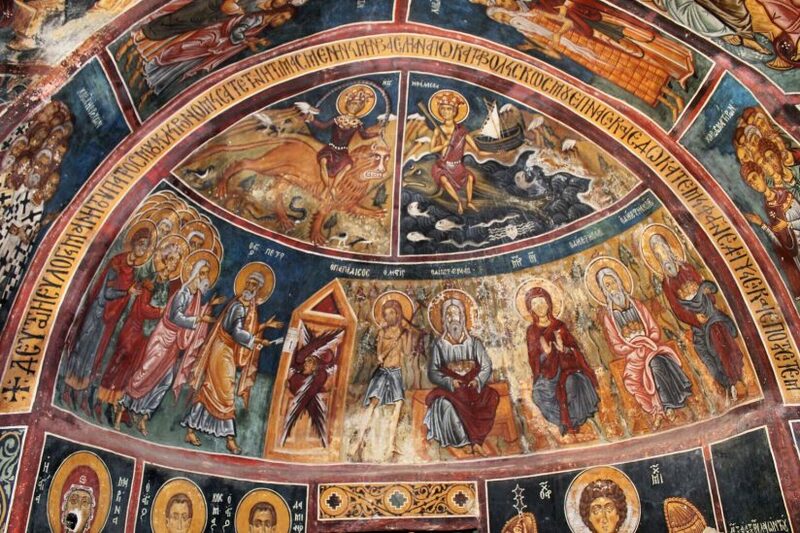 Nestled among the cedar forests of the Troodos Mountains of Cyprus is an enchanting collection of Greek Orthodox churches and monasteries dating from the late Byzantine Empire. Most of the dozen or so medieval churches seem modest from the outside — small, stone structures supporting pitched timber roofs with flat-hooked tiles. The real treasure is revealed inside, where, beneath low ceilings and bathed in muted light, the walls are adorned with richly colored paintings and beautifully ornate murals. 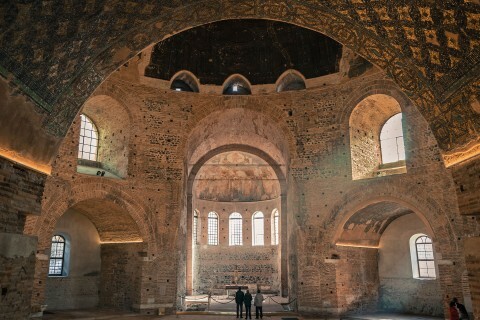 Containing some of the best preserved examples of Byzantine and post-Byzantine art, 10 of these churches have been deemed a UNESCO World Heritage site. Panos Vasiloudes has vivid memories of visiting the churches as a boy in Cyprus. He grew up mere miles away, in a small village in the center of the island called Pera Orinis. Little did he know back then that he and his future wife, Helen, who now live in Florida, would reconnect with the painted churches of his childhood in a personal way nearly four decades later. Bruce Zuckerman also has a connection to the holy sites. A professor of religion and linguistics at the USC Dornsife College of Letters, Arts and Sciences, he has devoted a 38-year career to preserving ancient artifacts and cultural history, worldwide. As director of USC Dornsife’s West Semitic Research and InscriptiFact projects, he and his team of researchers have painstakingly documented hundreds of precious antiquities, including ancient biblical texts and Dead Sea Scrolls. Two years ago, Zuckerman’s team went to Cyprus to work on a pilot project in collaboration with The Cyprus Institute. 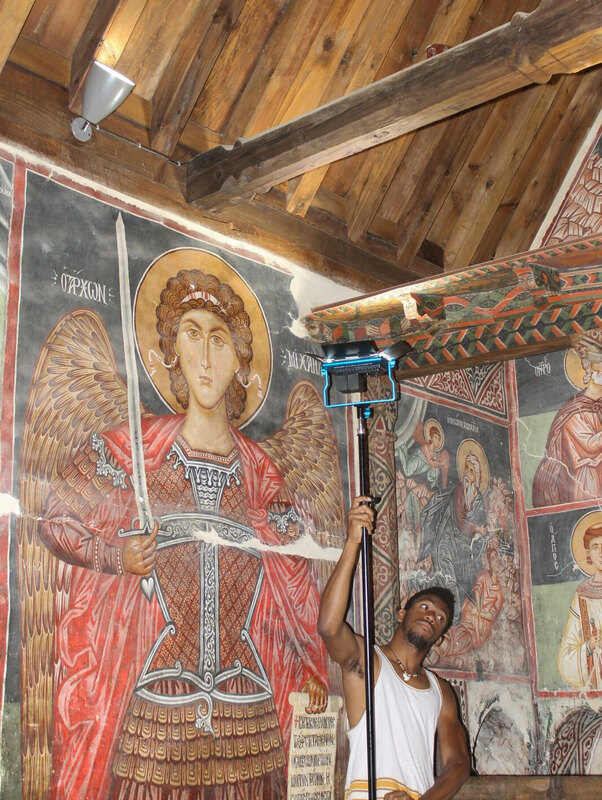 They visited a few of the painted churches in the Troodos Mountains to investigate how to document their remarkable interiors and powerful iconography using specialized cameras. 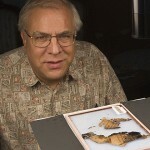 Zuckerman and his colleagues have pioneered the use of sophisticated digital photography to uncover and preserve the past. 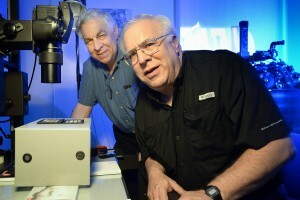 One novel imaging technique they mastered is called Reflectance Transformation Imaging (RTI). By synthesizing multiple images taken from a fixed camera position at different light angles, RTI creates a dynamic digital version of an object, rendering even the most subtle of textures in microscopic detail. Another innovation involves making spherical images with a Panoscan camera. The digital camera sits on a tripod in the middle of the room and captures 360-degree, floor-to-ceiling images. The camera’s fisheye lens creates images that convey relational space, as if the viewer is actually standing in the room. One spherical panorama photograph requires a pass of seven to 15 minutes, resulting in an extremely high-resolution image. “It really redefines how you look at this stuff,” Zuckerman said, adding that his research team was the first to apply these techniques to cultural heritage targets. 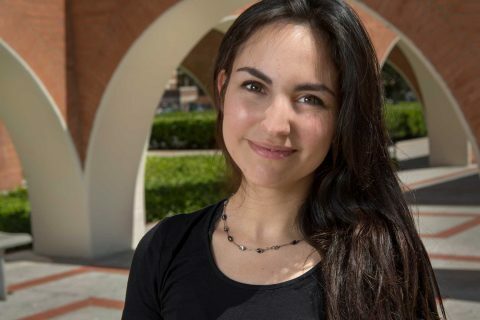 Helen and Panos Vasiloudes learned of Zuckerman’s research in Cyprus through their connection to USC, where two of their four children are enrolled. Panos Vasiloudes, a physician, said learning about Zuckerman’s work had touched him deeply because of his own childhood visits to those churches many years ago. The couple began communicating with Zuckerman, and the three soon agreed to meet. Zuckerman told them about his intention to document the remainder of the painted churches and showed the couple some of the images he had already taken. The images on Zuckerman’s computer allowed them to see what kinds of paint were used, and the style of particular painters and iconographers, she said. It was even possible to see how original paintings had been painted over. “It was so fascinating to us,” Helen Vasiloudes said. For the Vasiloudes family, helping to fund this research seemed only natural. Their funding allowed Zuckerman and his team to return to Cyprus for three weeks last summer to undertake the laborious but exciting task of documenting the church interiors. His team included Marilyn Lundberg, associate director of USC’s West Semitic Research Project, his brother Kenneth Zuckerman, also an associate on the project, and two undergraduate student researchers: Alleluia Tyus, who graduated from USC Dornsife in fall 2017, and Thomas Zhang, then a sophomore at the USC Viterbi School of Engineering. They were also joined by a team of researchers and imaging specialists from The Cyprus Institute’s Research Center for Science and Technology in Archaeology and Culture led by Nikolas Bakirtsis, the director of the Andreas Pittas Art Characterization Laboratories, and including Ropertos Georgiou, Thanasis Koutoupas and Mia Trentin. In the project, made possible with the collaboration of the Cyprus Department of Antiquities, the groups made both Panoscan spherical images and RTI details. The team captured a combination of RTI pictures and more than 100 Panoscan images from nine different churches and one cave shrine. The student interns focused on using the RTI technology to illustrate particular details of the paintings but participated in all aspects of the work. 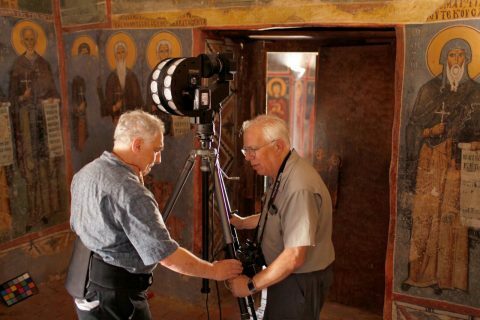 “To my knowledge, our USC/CI team is the first to apply these imaging approaches to any of the churches in Cyprus — or to churches anywhere else, for that matter,” Zuckerman said. One day, the Vasiloudes family joined the researchers at one of the churches. Visiting as an adult, Panos Vasiloudes experienced what he described as a humanistic and emotional journey back to his roots. Working in the painted churches was also a very personal experience for Tyus, whose degree is in archaeology. Upon entering a new church, Tyus would wonder to himself how many people it took to build, how many important people must have spoken there, how many lives were changed in those rooms. He would begin to feel an energy that made the church come alive for him. “It wasn’t just a building anymore — they weren’t just sites. They were people’s lives and heritage,” he said. Back at USC last fall and spring, the students helped process all the images from Cyprus and built a website and database to display their work. The results were entered in the university’s Undergraduate Symposium for Scholarly and Creative Work. The project, which included another undergraduate intern, Rachel Kartin, is a great pairing of technology and directed student research, Zuckerman said. For instance, Zhang’s computer engineering skills are enabling him to use the images to build three-dimensional models of the churches. The project won the Interdisciplinary Award in the Humanities for Zhang and Kartin last April. Last Christmas, the Vasiloudeses felt the call of their Mediterranean home and returned to spend 10 days in Cyprus. They strolled through the old streets of Nicosia, the island’s capital, and visited monasteries, wineries and an olive oil mill. Though it’s also about more than Cypriot history, Helen Vasiloudes pointed out. It’s about human history, and preserving cultures and artifacts of the past around the world. Bruce Zuckerman holds on to humanity’s past through digital photography that captures a world of microscopic detail. Bruce Zuckerman, professor of religion and linguistics, with Dead Sea Scrolls fragments at St. Mark�s Syrian Orthodox Cathedral in Teaneck, N.J.
Let’s consider what New Jersey is famous for. The birthplace of Ol’ Blue Eyes? Where Thomas Edison invented the light bulb? Or, heaven help us, Jersey Shore? ✌ Class of 2017: Johanna Reyes is making an impact from Mexico to Cuba, and intends to do even more. Explore researchers’ trek to capture the sounds of historic Byzantine churches on Escape Velocity, a new USC Viterbi podcast.